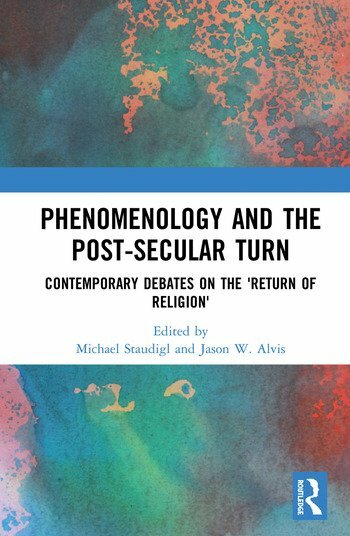 Are we living in a ‘post-secular age’, and can phenomenology help us better understand the discontents of secularism? From Habermas’ claim that the secular hypothesis has failed for democratic reasons to the fact that religion, far from its predicted dwindling, is as strong as ever (or even stronger than before), some have concluded that secularism as we know it is over. Others have questioned whether we have ever truly been secular, if the concept applies only to European societies, or whether the very notion of religiosity is merely a weapon of pacification in the hands of Western universalism. The post-secular notion thus lingers between sociological fact and philosophical theory, and it is the latter that we need to investigate if we want to confront the challenges that any ‘return of religion’ entails. Although phenomenology has furnished manifold devices to rethink religious experience in a post-metaphysical way, its investigations often remain individualistic and beholden to unproductive dichotomies. This volume assembles investigations into secularism’s discontents by addressing religion’s role in forming the fabric of contemporary societies and unveiling new constellations of faith and reason beyond many beloved modernist dichotomies (e.g. theism/atheism, myth/Enlightenment, fundamentalism/tolerance) that often go under-investigated. This book was originally published as a special issue of the International Journal of Philosophical Studies. Michael Staudigl teaches in the Department of Philosophy at the University of Vienna, Austria, where he currently directs two research grants on the phenomenology of religion and religious violence. His main research interests concern the many faces of violence and the capacities of philosophy and phenomenology to confront them. Jason W. Alvis is a Lecturer and Research Fellow in the Department of Philosophy at the University of Vienna, Austria. His research concerns the intersections of phenomenology, philosophy of religion, and social theory.